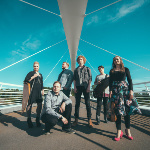 The fertile Finnish roots music scene thrives on an extensive network of creative musicians many of whom collaborate concurrently on diverse projects. 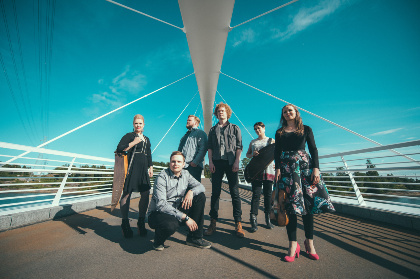 Okra Playground is a meeting-place for six specialists across the genres bringing together the iconic traditional instruments such as the kantele with electronic and global ethnic percussion, electric bass and contemporary accordion. The three front-line singers, Essi Muikku, Päivi Hirvonen and Maija Kauhanen will be familiar to fans of Finnish folk through bands such as Rönsy, Mari Kalkun & Runorun as well as their solo and duo projects. Together their voices create bewitching soundscapes full of space and swirling harmonies, re-telling ancient folk stories and moral tales from a vanishing world, empowered by a rousing contemporary soundtrack. Their debut album Turmio, appeared in 2015, gaining effusive praise and inclusion in best-of lists across the media.